the glance into the zen philosophy of a manga household. liquid loft is looking for the path of the samurai on stage, feng shui is exercised in cyberspace and chopstick high-jumping carries the performers into the classical pas de deux. Running Sushi is not narrated in a linear way or on a predefined timeline; rather, the screenplay is split up in different scenes. 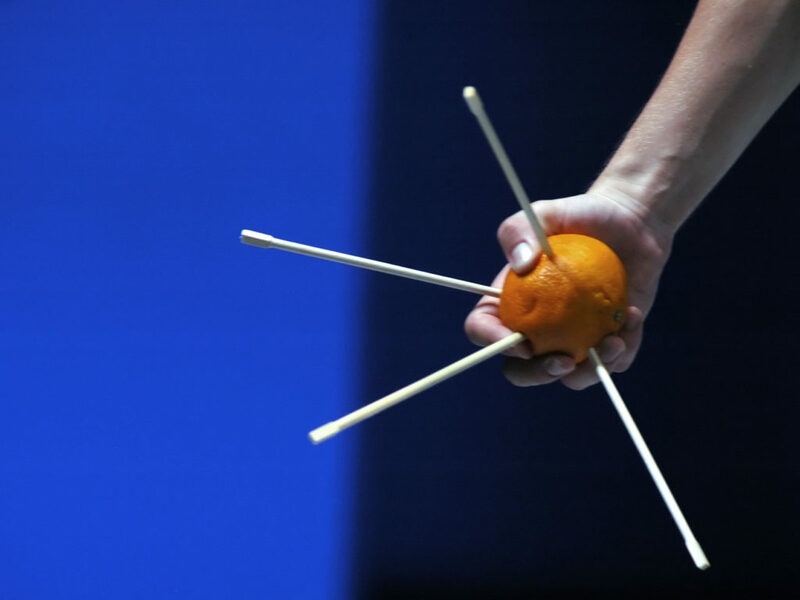 Like in a Running Sushi restaurant – where the guest chooses bits and pieces – the members of the audience define the sequence and order of the 12 scenes. Through this system, the audience every evening creates a new story board. Yet, the “Pulp Fiction” effect remains, shaping the story – independent of the sequence of scenes – in the mind of the spectator. Thus, Running Sushi is raising the question of how we perceive performance and dance nowadays. The experience and reality of communication are shifting increasingly towards a two-dimensional, picture-like surface. The term “superflat” coined in Japan mainly by Takashi Murakami, not only describes the comic or Manga as a form of communication, but also characterizes it as a conceptually leveling society of the post-post modern world. An image has copied and advanced itself here, in order to return to its own, two-dimensional reality. The performance resembles the image sequence of a Manga figure, trying to re-animate its private idyll, which has become senseless, in order to write a possible storyboard for a future existence on screen. 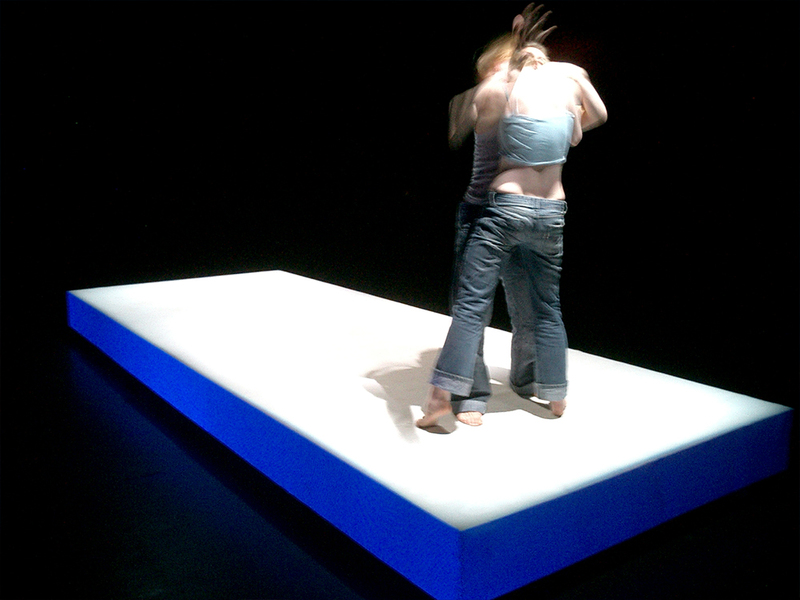 A co-production of ImPulsTanz Vienna International Dance Festival and Liquid Loft in co-operation with Choreographic Center Linz and TanzIst Festival Dornbirn. With support of MA7 – Kulturabteilung der Stadt Wien and BMUKK – Bundesministerium für Unterricht Kunst und Kunst.